Dr. Cuomo received her medical degree from New York University School of Medicine. She went on to complete a general surgery internship at Beth Israel Medical Center and an orthopedic surgery residency at Lenox Hill Hospital in New York. She then completed the Charles S. Neer, II, Fellowship in Shoulder and Elbow Surgery at New York Presbyterian/Columbia University Medical Center. A prolific author and speaker, Dr. Cuomo has published more than 40 scientific articles and 20 book chapters on the diagnosis and management of shoulder disorders, and she has made over 150 national and international scientific presentations. She currently serves as secretary of the editorial board of the Journal of Shoulder and Elbow Surgery and is a reviewer for many orthopedic journals. 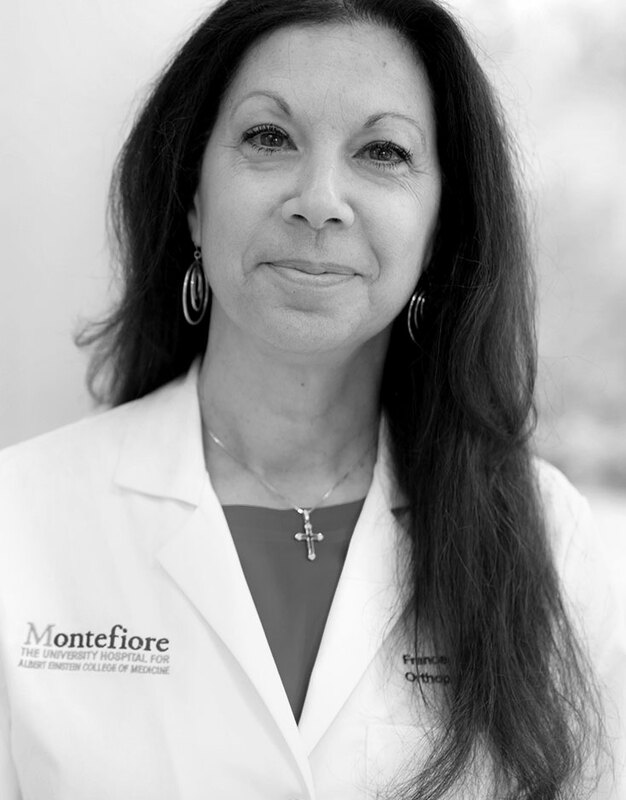 The first female orthopedic surgeon to be elected to the American Shoulder and Elbow Surgeons Association, its first woman president, and the first woman ever to serve as president of any subspecialty society in the American Academy of Orthopedic Surgeons, Frances Cuomo, MD, joined the Department of Orthopedic Surgery at Montefiore in October 2016 as Chief of Shoulder and Elbow Service.